We are the EnginSoft business unit dedicated to the consultancy and training with Scilab. Scilab Enterprises chose EnginSoft as Scilab Professional Partner for Europe: our mission is to foster the diffusion of the Scilab software within companies by providing tailored solutions, technical support, consultancy and training. Scilab Enterprises chose EnginSoft as the company reference for the experience, professionalism and competence of its over 100 engineers operating in the field of numerical computing and virtual prototyping since more than 20 years. EnginSoft has 6 offices in Italy (Trento, Padova, Bergamo, Firenze, Torino and Mesagne) and branches in France, UK and Germany. The Openeering team is composed by young professionals but with a proven experience. Manolo works in Enginsoft Padua offices. He earned his masters degree in "computer engineering" and then his Ph.D.
in "Computational Mathematics" at the University of Padua. His main research interests regard the fields of "computational fluid dynamics" using finite elements, "nonlinear continuous optimization" and "graph approaches to physical modeling" where he has also published several papers. He has a wide experience on the development and the use of numerical libraries and on the programming with several languages. In the Openeering project he deals with the model development using "Xcos" toolbox. Anna earned her masters degree in Mathematics at Padua University. She is involved in an European Project for which she develops the optimization part. She joined the Openeering team also during her internship in EnginSoft. For her master thesis she developed a Scilab toolbox for scattered data interpolation using radial basis functions. Giovanni works in EnginSoft Padua offices. He earned his masters degree in electronic engineering at the Politecnico di Milano: he has gained a wide experience in developing web applications, training and competencies management, project management and innovation management. He is a certified PMP (Project Manager Professional). In EnginSoft Giovanni is involved in project management and business development activities. Silvia earned her masters degree in mathematics at the Padua University and then she completed a two-year master in “modeling and simulation complex realities” at the International School for Advanced Studies (SISSA) in Trieste. 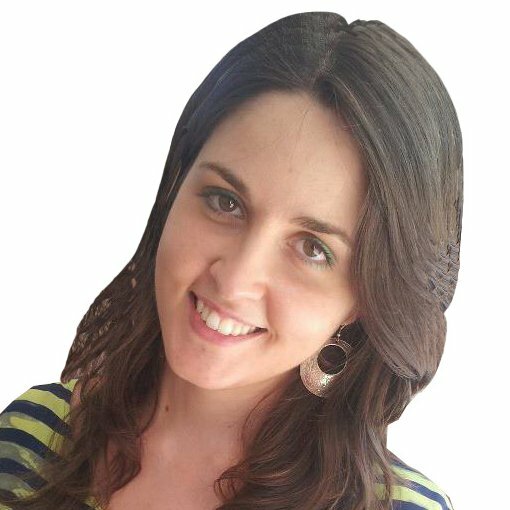 Silvia has published many papers and studies in the field of the multiobjective optimization, data mining, approximation methods and decision support on international referee journals and conferences. Her research interests cover the fields of multiobjective optimization, industrial optimization, multivariate analysis, approximation methodologies and decision making support. Massimiliano holds a masters degree in structural engineering and he is a Ph.D. in structural mechanics. He has a wide experience in developing software application for the virtual simulation specifically in the structural mechanics field. Massimiliano has been part of the Openeering team during his career in EnginSoft. He is involved in providing customized numerical solutions and training. Founded in June 2010, Scilab Enterprises is the official structure resulting of the Scilab Consortium which had developed Scilab software since 2003. Scilab Enterprises develops and publishes the Scilab software, and offers services and support around it for all its users. Scilab Enterprises is committed to providing expertise in the implementation of optimal solutions in terms of technological innovation and helping companies to make the right decisions in computation and simulation tools. Scilab Enterprises advises companies by offering a comprehensive range of support, migration, development and implementation of specific applications in their technology environments. LION Solver - Learning and Intelligent OptimisatioN Solver. Learning and Intelligent OptimisatioN means combining learning with problem modeling and solving/optimisation. A crucial component of LION Solver is Ractive Search Optimisation (RSO), a robust and efficient method for solving difficult problems. The word reactive hints at a ready response to events while alternative solutions are tested. Its strenght lies in the introduction of high-level skills often associated to the human brain, such as learning from past experience, learning on the job, rapid analysis of alternatives, ability to cope with incomplete information, quick adaptation to new situations and events. LION Solver is fully integrated with Scilab: you can load Scilab models, run Scilab, run dedicated RSO optimisations (single- and multiple-objectives) and interact with the process to fine-tune them to your needs. M3E - Mathematical Methods and Models for Engineering. M3E is the acronym of "Mathematical Methods and Models for Engineering". The company is a spin-off of the University of Padova with the development and the application of advanced mathematical models and software for the optimal solution of several problems usually encountered in civil, environmental and industrial engineering as core business. In particular, M3E aims at developing numerical software for the discretization of partial differential equations, linear algebra, optimization and data analysis for several engineering applications. Along with the software, M3E offers consulting services in the field of structural analysis, surface and underground environmental processes, management of water resources, transport and diffusion of contaminants in fresh water aquifers, exploitation of oil and gas reservoir, subsidence and its possible mitigation. The solutions and the software provided by M3E are designed and developed on the specific problem and on the customer's hardware, so as to accelerate the design process and the production, to reduce errors and to improve the overall quality of the final product.